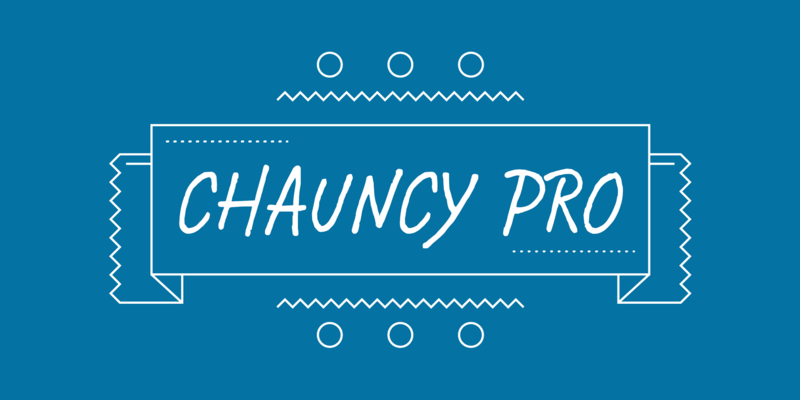 Chauncy Pro - Chank Fonts! Chauncy Pro is a bouncy, artistic, childish handwriting font that comes in four practical weights: Regular, Italic, Bold and Bold Italic. The jaunty little font is based on the left-handed penmanship of an artist and it’s ready to go play with some of your fanciful, light-hearted designs.